Over this past semester I’ve introduced about 250 postgraduate students to qualitative research. Last year it was about 200. Actually through running a postgraduate coursework program in qualitative health research for 5 years and teaching several qualitative methods courses for community researchers there have been quite a few over my relatively short teaching career. I’ve taught people who are seeking to use qualitative methods in a research project and those who are only learning it because it is mandated by their degree (e.g. I teach the core unit in qualitative methods for a Master of Public Health). In the first few years of teaching qual research I noticed something interesting. In the early part of the course I’d look into the auditorium and see some pained expressions, students shifting uncomfortably, and at its most extreme, open hostility towards qual research. Questions would burst out of students about bias or generalisability. They’d come up to me after a lecture and admit they had some worries. Most were genuinely struggling to understand the logic of qualitative research, but felt like they were failing. About a third of the way through one multiple-day course something would click and they’d get it. In the early days I only taught face-to-face so there’d be a palpable buzz in the air. I’d know we were going to be ok when they’d start making jokes about being a realist or a social constructionist. Or when they’d make their epistemological assumptions explicit when it wasn’t necessary. Or when I’d overhear a conversation in the tea break about sampling and saturation. Phew! A few wouldn’t get it and the bafflement would continue. They’d ask fundamental questions I thought we’d addressed (‘but isn’t it biased?). I’d see their peers glance at them with embarrassment or irritation. Indeed I received the following written comment from one student after our first lecture: “qualitative research may lead you to question the very nature of reality :)” I hoped the smiley face meant that they were ok with this. Eventually I connected what the students were experiencing to my own experience of moving countries. 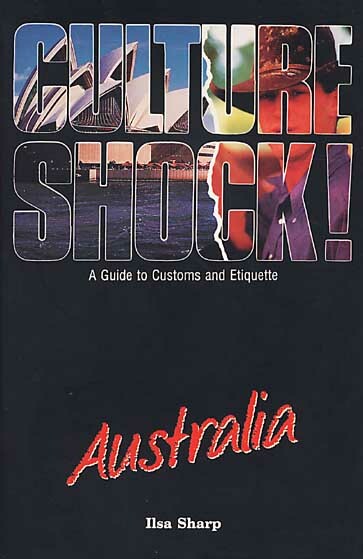 When my partner and I moved to Australia in 2000 we bought a book called “Culture Shock! Australia”. (ours was the original 1992 edition, that cover is so much more evocative then the most recent edition). When I moved from London to Sydney I experienced culture shock. I was surprised as everything looked pretty similar (language, driving on the left) but some pretty small differences made me feel out of place – I didn’t understand the rules, I felt like everyone could tell I wasn’t from here. I felt home sick (I understood the rules there). Not understanding and not fitting in sometimes made me frustrated – or angry. The Australian ways seemed stupid, wrong, old fashioned! This may be familiar to some of you who have travelled or spent time with overseas visitors. Well, I’m going to take you on a bit of a journey on this course. For many of you it will be a new land – and there will be ideas and ways of doing things that are different to how you’re used to doing them. New ways that might challenge things that you take for granted. Sometimes when I take people on this journey I see the same kind of culture shock I experienced. By the end of the course they’ve usually started to feel more at home. So I’m giving you a heads-up and some advice: Bring your curiosity to this new land. Be interested in how they do things here. Notice how they are different. Pay attention to when you start thinking – that’s stupid/not the right way to do it. These feelings are useful – they signal when you are moving across paradigms or belief systems. Most of you will be used to thinking in a particular research paradigm – let’s call it quantitative – where the community shares particular beliefs, assumptions, values and ways of doing things. I’m not asking you to abandon your paradigm (your community, your sense of home), I’m asking you to recognise that you are seeing the world from this perspective. Two students reflected on these ideas in written comments after the first lecture: “being a person used to RCT, this is very interesting but worried if I can cope” and “Coming from a science background it was helpful to know that the shift in paradigm to qualitative is a challenge”. 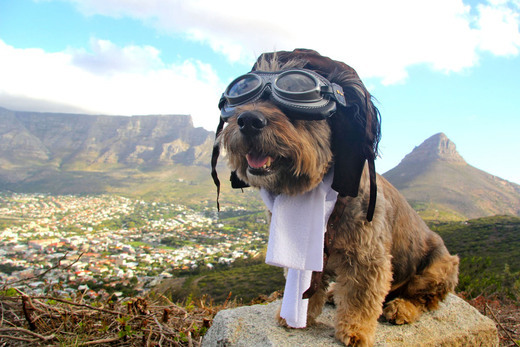 I’m trying to encourage the students to be fearless adventurers. I came across the following quote today and it helped me understand another aspect of the culture shock experience. I like the idea that being culture shocked creates a distance that allows you to see yourself. I plan to add this next year.